The Altman Brother’s Talk About Their Big Move! 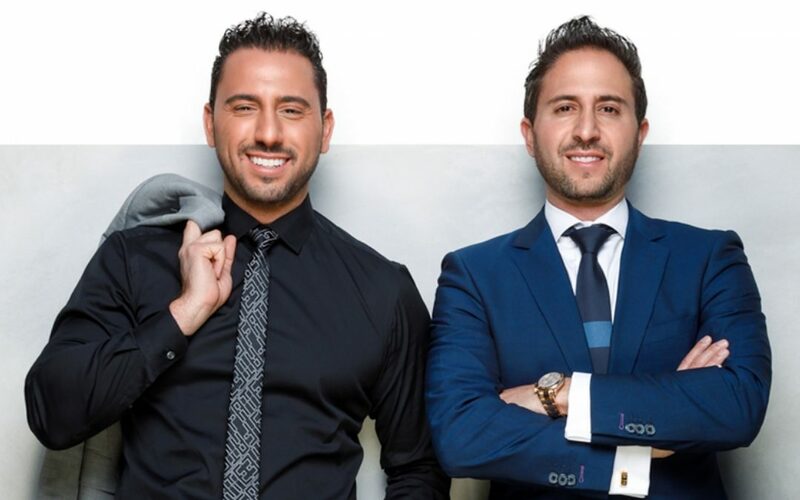 The Altman Brothers are best known for their starring roles on Bravo’s “Million Dollar Listing,” and while they appreciate the opportunities the show has given them, they point out that they are no overnight success. Matthew Altman reveals, “we’ve been grinding for 15 plus years, all we do is work!” The Altman Brothers closed over $3 billion in sales during that time, added numerous industry accolades to their name, including top national agent rankings in the Wall Street Journal, Hollywood Reporter and Variety. Their hard work is paying off, as the Altman Brothers recently informed International Association of Real Estate Professionals (IARP) that their high-ranking success has led them to open up their very own office in Los Angeles! The Altman Brothers waited patiently before moving into Robertson Boulevard’s former Lululemon store what they say is “the ideal spot” for their new office. The space, opening in March 2019, is located at 105 South Robertson Boulevard and is surrounded by high-end designer furniture stores, upscale fashion shopping, and the iconic gourmet restaurants The Ivy and The Henry. They believe their new ground floor location in this bustling neighborhood and shopping community will provide many walk-ins and ultimately a larger client reach due to the higher foot traffic and premiere signage. The office is large enough to film Million Dollar Listing - Los Angeles and a prime space to showcase up and coming new developments with maximum exposure. Their team consists of 20 people, 4 staff members and 16 agents who have been with them for many years. They refer to their team as family and have created a space uniquely adapted to their team’s lifestyle and well-being. Their philosophy keeps their employees happy and allows the team to maintain productivity. They are a very tight group, so it’s important that if they bring anyone on, that they get along and work well with the team collectively. While they have invested much into their advanced technology platform, they’ve invested in their employees too, so everyone on the team understands how to leverage the extensive network and real-time market data to provide the best information and service so clients are confident they are making informed decisions. In the meantime, the best advice they have for new agents is to go to the book store and buy It’s Your Move by Josh Altman which will help you learn how to snag deals. Following that, they suggest you purchase the upcoming book The Altman Close which will aid you in closing the deal. 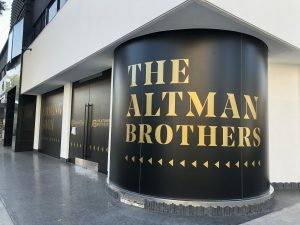 The Altman Brothers will be the first team from Elliman to have their very own office in Los Angeles. With top offices in New York, Miami, LA, and Aspen, Elliman is the world’s top brokerage. Josh and Matthew are very excited to be expanding like and explain they are “so happy to be with Elliman, the best brokerage in the world because it has provided us with the largest reach to the most elite clients in the world. We are so privileged to be partners with them.” March 2019 is set to be a fantastic new chapter for this duo and the IARP is looking forward to seeing them continue to expand and provide an incredible model for real estate professionals around the world. To join the International Association of Real Estate Professionals (IARP) please visit www.iarp.com for more info!